DeCarbon type shock absorber with internal floating piston, nitrogen filled. Aluminium AL7005 damper body and AL6061-T6 top and bottom fittings, CNC forged, CR-MO shock shaft. 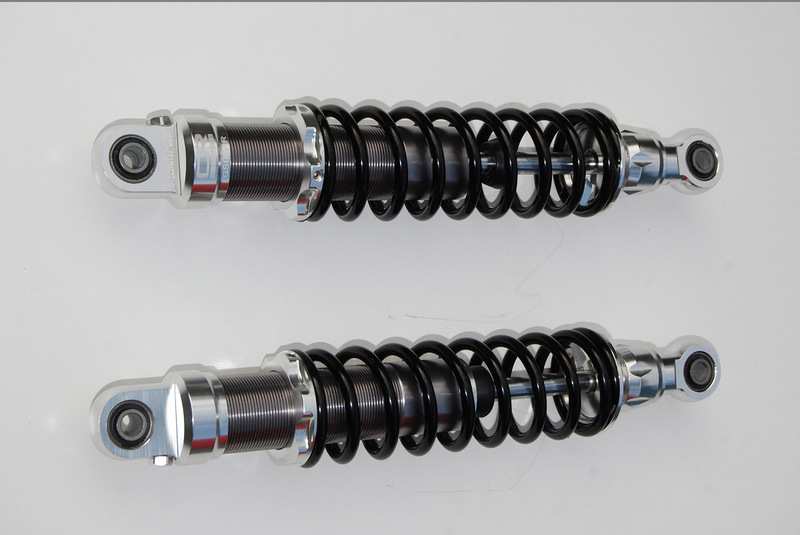 Adjustable spring preload, externally adjustable rebound damping. Advanced emulsion shock absorber with internal floating piston, nitrogen filled. Aluminium AL7005 damper body and AL6061-T6 top and bottom fittings, CNC forged, CR-MO shock shaft. Adjustable spring preload, externaly adjustable rebound damping. To make a purchase use the form at the bottom of the page – More products: forks, brakes, bars & levers, parts. 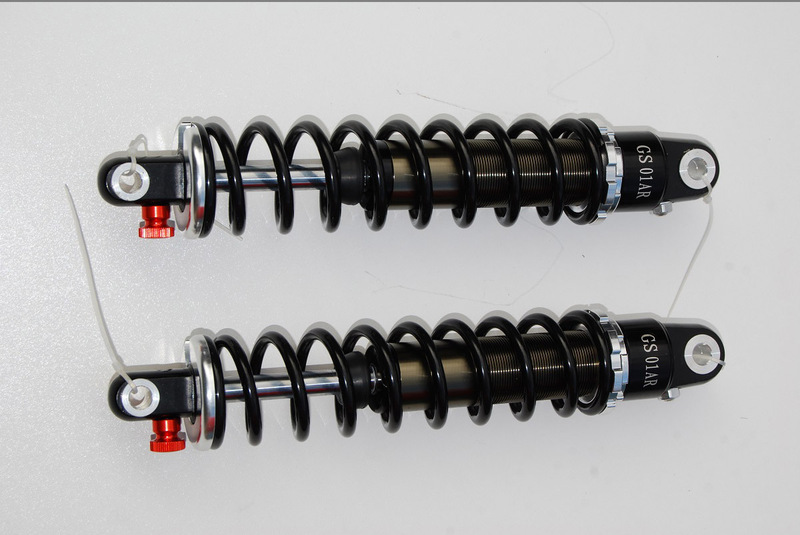 I got the shocks, they are beautiful, thank you, very pleased, may be ordering more springs in the future. I will recommend my friends to your products and site! 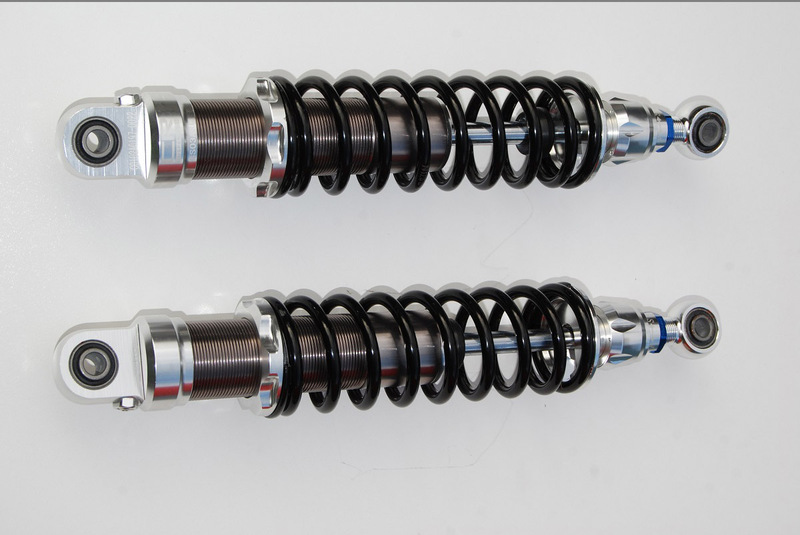 Special racing shock absorber with external piggyback reservoir, nitrogen filled. Aluminium AL7005 damper body and AL6061-T6 top and bottom fittings, CNC forged, CR-MO shock shaft. Adjustable spring preload, externaly adjustable rebound damping and compression, adjustable shaft length +/-10mm. Ffitted the shocks yesterday and they look fantastic! I received the package today in good order, and the shocks looks fantastic! 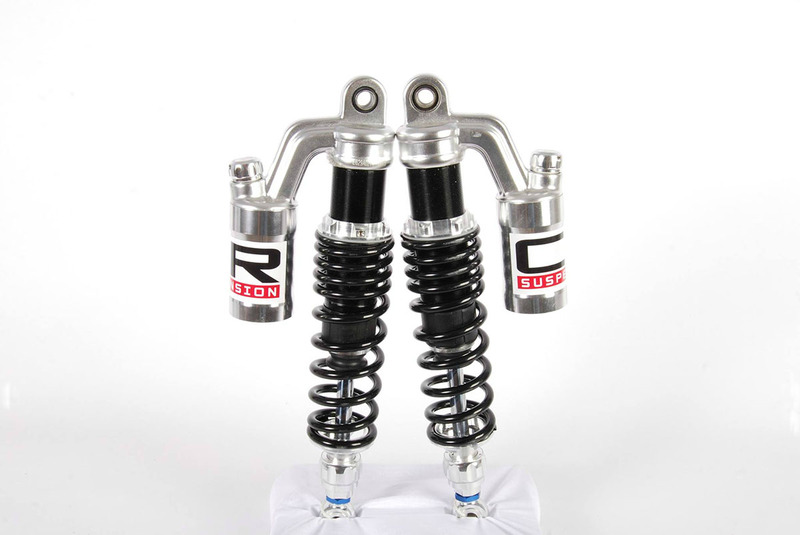 "I just wanted to let you know the shocks arrived safely and they are fantastic. I appreciate the care taken with their packaging too – not something many people do these days so I commend you on your attention to detail and excellent service. Thanks again – I will be in touch for more products in the future.